Thomas S. Giles is project editor for Christianity Today. Juní­pero Serra and his successors established 21 missions in California between 1769 and 1823. Each mission was a combination military outpost and religious commune; together, they were a colorful experiment in missions. Early Spanish expansion and missions. The Spain that sought political conquest also served as powerful patron of the Christian religion. 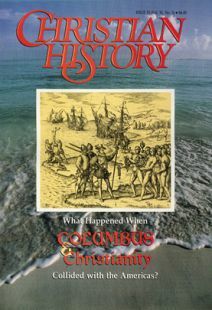 Of the many books about Columbus and his religious legacy, which are most helpful?